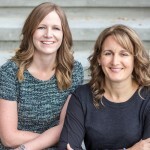 Brenda and Kim were referred to us by our Canmore Real Estate Agent. We are very happy to have done business with them. We sold our house in a few weeks, it's fantastic. Unfortunately, we decided to sell our house while the real estate market was favorable to buyers. We did not get the price we would like to have but we got a great deal considering the circumstances. If we come back to Calgary, we'll do business again with Brenda and Kim for sure. They are a great team, we highly recommend them. Brenda was amazing to work with. She is incredibly knowledgable and thorough. We felt very comfortable throughout our home buying experience! We will definetly be calling her again in the future! Kim helped sell our elderly Moms condo. She was efficient, kind and treated our 89 year old Mom with kindness and respect. Would recommend to anyone! Kim and Brenda were an incredible team to work with. They helped us sell 2 homes and purchase our dream home all during a very busy time in our lives. They took time to research homes and neighboorhoods that would suit our growing family. They went above and beyond at every encounter from accommodating last minute showing requests and helping carry car seats in and out of houses to applying paint and putty to walls before possession when we couldn't get to it ourselves. We truly enjoyed every interaction with them and would highly recommend them as agents to anyone. Excellent service and thorough knowledge of real estate, legal, and financial matters. Highly recommended. Excellent contacts and provided sound advice and guidance at every step along the way. Would definitely hire again.